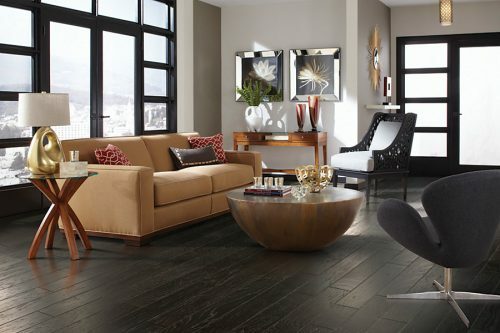 Coretec Plus Luxury Vinyl Plank waterproof flooring $6.49 per sq. ft. Installed Everything Included. For more than a decade, Floors to Go has been providing communities in and around Bradenton, FL with an extensive range of flooring services and products including Coretec waterproof vinyl plank flooring. We are proud to be a locally-owned and -operated business, committed to providing our customers with some of the best flooring solutions available. Floors to Go has been one of the premier flooring companies in Bradenton, FL since 2005. We leverage more than 32 years of collective experience to provide all our clients with a wide range of high-quality products and services. Our flooring services are available to both residential and commercial clients, and we take pride in helping you narrow down the options to find a solution that’s ideal for your space. Each and every one of our clients receives a highly personalized level of flooring service, to ensure we’re meeting your highest expectations for quality. When we’re done, you’ll be left with flooring that looks beautiful, exudes quality and lasts. We offer an exceedingly high-quality installation service. Our company specializes in selling name-brand flooring products including Coretec waterproof vinyl plank flooring. We offer free estimates to each and every one of our clients. Our crews can install flooring for both residential and commercial spaces. Competitive financing options are available at our location. If you’re ready to install new flooring, contact one of our friendly associates today to receive your free estimate. We’ll help you decide which flooring option is perfect for your home or business. We have the lowest pricing on Coretec flooring, so make sure to call today! Proudly offering the best flooring, and flooring installation to Sarasota County, Manatee County, Hillsborough County, and Charlotte County.